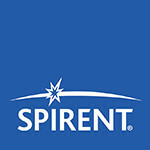 The 2016 Spirent GNSS Testing Training Seminar features training led by Spirent’s product managers and engineers on state-of-the-art GNSS simulation and test equipment. This seminar is designed to improve your knowledge and effectiveness in using Spirent simulation and record/playback equipment to evaluate the performance of PNT systems. It will particularly suit test engineers and product/project managers working on GNSS-based receivers, systems and applications. The training costs €175, which includes lunch on both days. Travel, hotel and dinner costs are the responsibility of delegates. Corinthia Hotel, Prague, Czech Republic. Click here for more info and reservations. This is a provisional agenda and is subject to change.